The Best 5 Backup and Recovery Software 2018 Features Comparison with pros and cons. 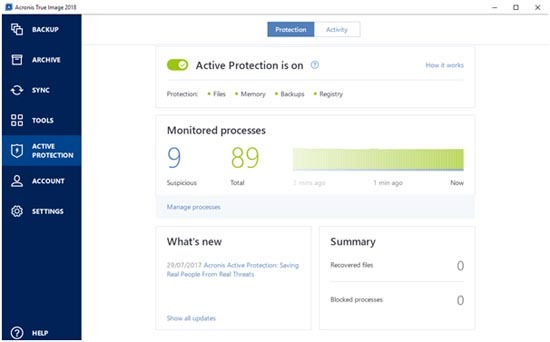 Acronis True Image 2018 provides an all in one backup and data recovery solution for all your devices, be it on site, off-premises, or even in public cloud. Acronis offers secure and easy backup along with fast recovery with the help of Instant Restore which reduces restore time to a few seconds. The intuitive interface is touch friendly and fairly simple to use. With improved data protection features Acronis manages to keep your backup secure from any unwanted changes as well as detect any ransom ware threat. Bare metal recovery and disk imaging backup are among its basic features. 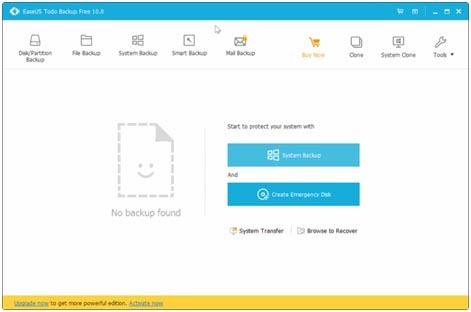 Flexible storage option stores your backup in local disks, tape drives and Acronis cloud to ensure you have an additional copy just in case you lose the backup. The software comes in two versions- the standard and the advanced. While the standard is in itself a very diligent backup software, the advanced version comes armed with many advanced features like advanced reporting, active protection and virtual server protection among others. Depending on your requirements you can choose either of the versions. This software on our list is the extremely reliable Nova Backup, one of the fastest and easiest Linux and Windows network backup solutions. The Nova boasts of an intelligent UI which allows users to setup or maintain multiple locations within its backup infrastructure. The top-notch architecture acts as a rock solid foundation for your backup needs by improving performance and stability which redirects the backup job to another storage or another server in case of a hardware failure. Multi streaming is an impressive feature which allows you to stream multiple backup or restore jobs across multiple servers onto a single device simultaneously. Other features include bare metal recovery, logical cloning, secure encrypted backups and fast and reliable recovery, making Novastor one of the best in business. Compatibility over a lot of systems and premium support that too at an affordable price of around $29.95 makes it the most practical backup solution. This is a lightweight software application which provides easy backup of system drives, particular folders or files, whole hard disks and even android devices. Recovery is easy as it restores data simply by mounting the backup image as a virtual drive. The software lets you store the backup in your local disk, an external disk or even cloud storage. It is compatible with all current versions of Windows. It also supports backup compression and lets you to protect your backup using a password. Both backup and restore options are customizable by the user, that is you can choose to backup or restore entire hard drives or just partially. 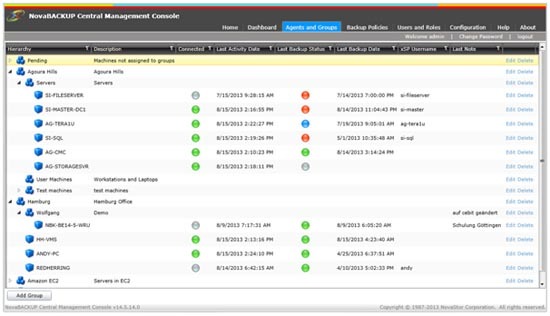 You can also schedule backups and the ease to use interface is an added bonus. It comes for just $39. - The Pre-OS features lets you run the software before Windows boots without having to burn a disc or use a flash drive to run it. - Virtual recovery lets you browse easily through your backup. - Email notifications, compression rates and weekly scheduled backup are not available with the free version. 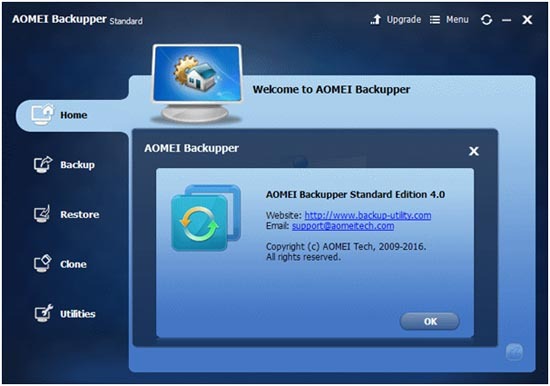 The AOMEI backupper has two versions in the standard and the professional. The standard version comes free of cost and is perfect for commercial purposes although, it does lack some of the features found in the professional which costs $39.95. Both versions are compatible with Windows XP to Windows 10 and are very efficient at backing up various types of data and recovering. The interface is designed keeping in mind novice users and is very easy yet effective. Backup takes four steps while recovering takes seven and the speed is just about average. There is only one encryption option for your entire backup which is redundant if you are a novice user. At just above $39 the AOMEI Backupper provides a much better average compression rate than its competitors. The second most expensive software on our list at $69.95 is a US based backup solution which offers file and folder backup for both business system as well as home system. You can protect both your workstation and the server with the Macrium standalone products. Standalone licenses are only valid for one PC for lifetime. It is compatible with Windows XP to 10. The new Macrium Reflect 7 Home edition boasts of super fast imaging and rapid delta cloning which increases cloning speed. Rapid delta restore offers superfast restore and can restore backup images to dissimilar hardware with the help of Macrium Redeploy. The Macrium Image guardian protects your data from ransom ware threats and unwanted changes.